Pierre Maquet was born on the 12th of December, 1961. Director of research at the Belgian National Funds for Research and Science (FNRS), he works at the Cyclotron Research Centre at the ULg, the university where he obtained successively degrees in Doctor of Medicine (1986), PhD in biomedical sciences (1990), neurology (1991), and a higher education teaching certificate (1998). He also carries out neurological clinical duties at the Liège University Hospital Centre. He carried out his first research work at the heart of the neurology department run by Professor Georges Frank. The theme was epilepsy. Very quickly, nonetheless, he became interested in functional neuro-imagery, which from then on has constituted the cornerstone of his studies. They are primarily based on modified states of consciousness — comas, vegetative states, states of minimal consciousness, hypnotic states, general anaesthesia, but above all, sleep. Given the links uniting the latter with memory, Pierre Maquet has invested much of his work on mnesic consolidation (the ‘implantation' of memories). Very quickly, he integrated into his research the question of the influence of circadian biological rhythms on cerebral functioning. 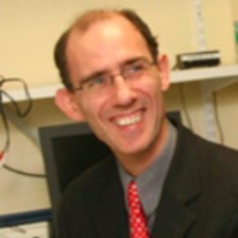 From 2000 to 2002, Pierre Maquet worked at the Functional Imaging Laboratory as a Wellcome Research Fellow (University College London), where he familiarised himself with functional Magnetic Resonance Imaging (fMRI) before the introduction of this technique to the ULg’s Cyclotron Research Centre. Pierre Maquet has recently been awarded by the Simone and Pierre Clerdent Foundation. This prize consists of a research grant to support for three years a medical research project in the field of human neurological illnesses.